Little Learners is our Governor-run Nursery. We are delighted to be expanding this provision in the Autumn 2018 to cater for children aged 3 months - 5 years from the wider community. Our provision will be open 7.30am-6pm Monday-Friday for 51 weeks of the year. 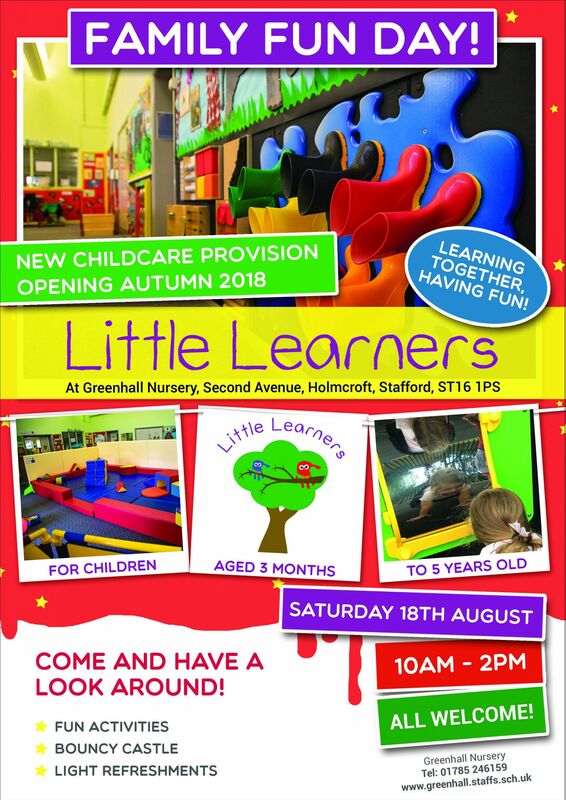 If you are interested in your child attending 'Little Learners' at Greenhall Nursery, for more information or to arrange a visit, please contact the nursery office on 01785 246159. We are pleased to be able to offer the 30 hours childcare at Little Learners. As part of the North Stafford Childcare Hub, we work collaboratively with other childcare settings in the area.